There's a glaring lack of ethnic, religious, cultural or racial diversity in Finland's professional workforce. Many workplaces in Finland, including non-governmental and governmental organizations in the field of human rights and development are homogeneous - mostly made up of white Finns. The City of Helsinki has launched a pilot procedure that could equalize chances for job applicants and ensure diversity in the workplace. The City of Helsinki has started accepting anonymous job applications. According to Yle, the purpose of the process is to ensure that the employer focuses solely on the skills and experience of job seekers, rather than on gender, age or origin. The anonymous application process is being run in the hiring of a new project chief for the City of Helsinki's Youth Department. An experiment by a foreign student in Sweden revealed that job applicants with foreign names are less likely to find work. For the experiment, the student printed 40 CVs. He put his real name on 20 and used a common Swedish name on 20. The CVs with his real name got no interview offers while 13 out of the 20 CVs with a Swedish name yielded job interviews. This shows that employers don't focus solely on the skills and experience of job seekers. In my opinion, the homogeneous workforce in offices, banks, non-governmental organizations and state institutions in Finland is no coincidence. The lack of diversity has something to do with [discriminatory] recruitment practices and stereotypes against minority groups. I have had the honor of working professionally in offices in Finland. From my experience, I can say without fear of contradiction that there's lack of diversity in workplaces. There's some degree of gender diversity at least in terms of hiring, but diversity on other grounds such as race, ethnicity or origin is glaringly lacking. A good time to check diversity in offices for instance is during lunch. Many organizations provide employees with meal tickets, hence workers go to restaurants to eat. I have worked in two offices in Helsinki and I've had lunch during break in numerous restaurants. I've never seen someone who looks like me - a black African - having lunch with colleagues from an office. Maybe workers from backgrounds other than Finnish (and Swedish) don't go for lunch, but their noticeable absence in restaurants during lunch speaks volumes about the state of diversity in workplaces. The absence of visible minorities working in offices doesn't mean they are unqualified to do so. Many are qualified and apply for positions in their field of studies, but they are forced by circumstances to work jobs that don't match their education and skills. Many have resigned to low-paying jobs. A survey by Service Union United PAM shows that nearly half of the union's foreign members work jobs that don't match their education and training. Most of them work as cleaners. I welcome the fact that the City of Helsinki is now accepting anonymous job applications. Being anonymous might equalize chances for all applicants. 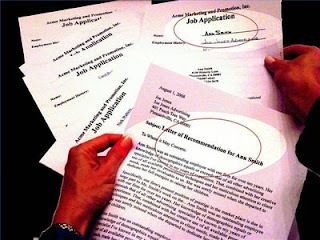 Qualified applicants with varying backgrounds might be employed or at least invited for job interviews. I have no illusion that the project by Helsinki City will immediately lead to diversity in the workplace. An applicant might be invited for an interview, but disqualified for questionable reasons when s/he shows up for interview. Employers need a change in mindset. They need to understand that people can get the job done irrespective of race, gender, sexual orientation, faith, language or origin. Accepting anonymous job applications in my opinion is a good place to start the journey towards diversity in professional workplaces in Finland. According to Helsinki City HR Director Hannu Tulensalo, the city wants to find out whether accepting anonymous applications will have different results from the traditional recruitment practice. The intention is to hire people with varying backgrounds. I'm confident that the result will be different. The anonymous job application process should be extended to all departments. The success of the project shouldn't be measured only in one vacancy or department. Other employers, both governmental and non-governmental, should copy the project and start accepting anonymous applications.